Fill out our simple form and get quotes from local Waffle Caterers. 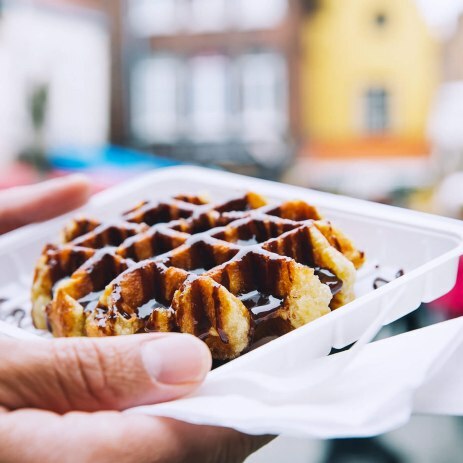 If you’re looking for a foodie snack to include in your catering for an event, waffles are a well-loved delight that are not only a crowd pleaser, but versatile and fun to eat. JB ICES caters for ALL your events. On the van we sell very popular Hot Belgian Waffles served with the Tastiest Whipped Ice Cream, Chocolate toppings and Sauces of your choice. Bringing you a taste of the US, hire a waffle stand or waffle making stands for your event to experience the battered beauties. With strawberries and cream, syrup, ice cream, bacon, or cheese; sweet or savoury flavours can bring an American diner right to your event and really offer something different for your guests. For weddings and outdoor events this can be a real winner but whatever your event, waffle van hire is one to consider.